I recently photographed Cathy Ridley, the founder and CEO of 'Move plan for The Institute of Directors Magazine in London. I shot here editorial style portraits in the communal space outside their studio In Farringdon. You can read more about Cathy and Moveplan below. The first portrait of Cathy here was shot using my favourite 50mm 1:2 canon lens and using available light. I like using a small depth of field to throw the background out of focus but also to draw maximum attention to Cathy. Compositionaly, I used the edge if the table to lead into the portrait. MovePlan is a global business offering move and change management consultancy that turns over $8 million USD per year. Established in 1986 by Cathy Ridley, it is the largest specialist consultancy of its kind in the world with over 70 employees in the UK, Ireland, USA, Asia and Australia. Its niche services are critical in moving organisations with zero downtime and MovePlan has an enviable client list across all sectors. Its clients range from multinational corporations to government departments, from research laboratories to universities. No project is too large, too small or too complex and the business has an unblemished operational record. Cathy continues to work full time on the needs of the business, splitting her time between London, New York and Hong Kong. Like all great ideas, MovePlan was born from the ashes of a dismal experience. Working as a PA in advertising, Cathy had been asked to co-ordinate the office move. She quickly realised that there was no support to help in the planning process and that the downtime and stress experienced had a significant impact on both the staff and the bottom line of the business. Having previously worked for four years as a British Airways Air Stewardess, Cathy felt that there had to be a better way to combine the logistics aspects with an excellent customer experience. Spying an opportunity and the potential for a more balanced lifestyle for her and her young daughter, Cathy pitched her idea to the London Business School’s Entrepreneurs Course selection panel. This was a Manpower Services Commission initiative and Cathy was stunned to be awarded a place on the one year part-time course. Her motivations were simple – to run a business that was compatible with home and family, whilst providing a good quality of life. It was in stark contrast to the majority of her male classmates, who were focussed upon ways to obtain yuppie yachts and classic cars. The course provided Cathy with a sound business plan and the confidence to move forward. The Thatcher government’s Allowance Scheme provided a £40 per week start up grant for two years (provided you had £1000 in a business bank account). 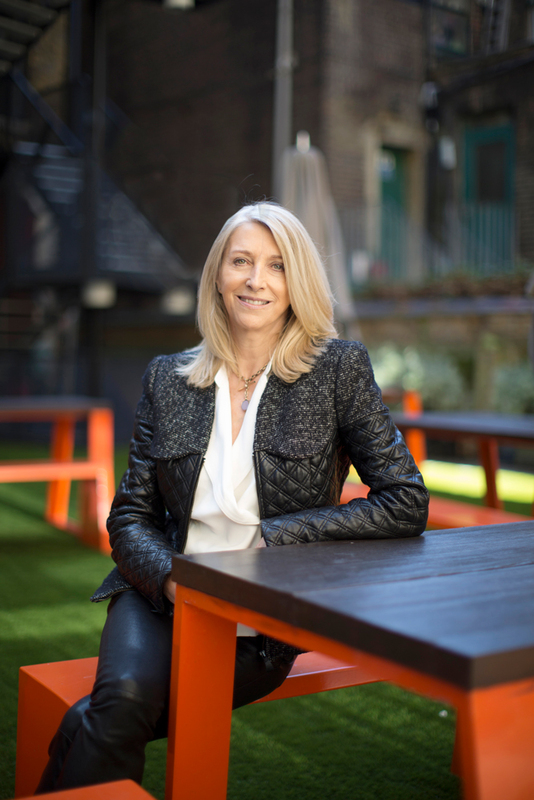 Between 1986 and 1990, Cathy worked hard to build up MovePlan’s unique service offering and Toolkit, managing smaller moves of under 300 staff headcount and working her existing network. During the 90s, MovePlan adapted and grew to meet the needs of increasingly large and complex clients. Cathy took a strong ‘follow the client’ approach with MovePlan, which lead some of its big breaks to be driven by major client requirements. In 1991, a project with a large pharma office move proved to be a springboard into the big corporate offices and labs. In 2005, another pharma awarded MovePlan a major contract that required the establishment of a business in the US and rapid mobilisation across 6 states. In 2010, a banking client led MovePlan into APAC, opening businesses in Hong Kong, Singapore and Australia. Cathy’s approach in this regard has always been to follow the numbers. If the cashflow, overheads and investments make sense – be brave! As the business has grown, Cathy realised that the numbers aren’t any easier, they just keep on getting longer. The economic crisis of recent years, combined with technological advancement has given MovePlan the appetite to have a global presence. Cathy’s enthusiasm and energy for the business has never been more evident and the business has an exceptionally low staff turnover. The business continues to provide an environment that champions and nurtures female leadership, with all women directors. Cathy has developed a senior team that not only understands the business, but also understands her standards and expectations. Long-serving staff have been given significant international placement opportunities and this trust has been rewarded in the development of resilient, local operations in a range of locations with consistent service levels and approaches. Cathy and her team work hard to ensure that the constantly evolving needs of corporate real estate clients are being met and exceeded. Constant review and development is required and innovation in service line delivery has been critical to keeping the business fresh and nimble within the market. Ultimately it is this enthusiasm, drive and responsiveness that keeps staff turnover low and repeat business high. Cathy has succeeded, where many have struggled, in creating a culture that supports development and motivates performance to the benefit of staff, leadership and clients.